Dr. Denise Borders served as president of SRI Education, a division of SRI International, from 2012-2018. Borders also was vice president of SRI International, a nonprofit, independent research center serving government and industry while working on some of the world’s most important problems, collaborating across technical disciplines to spark new ideas and solutions. Most recently, Borders was senior vice president and director of the U.S. Education and Workforce Development (USEWD) Group at FHI 360, which acquired the technical and managerial experts and programs of The Academy for Educational Development (AED) in 2011. At AED, Dr. Borders served for 10 years as a senior vice president where she oversaw program operations covering a broad spectrum of projects, such as birth-adult education, early child development, gender equity, youth, disabilities, workforce/economic development, research/evaluation, and education policy and practice. 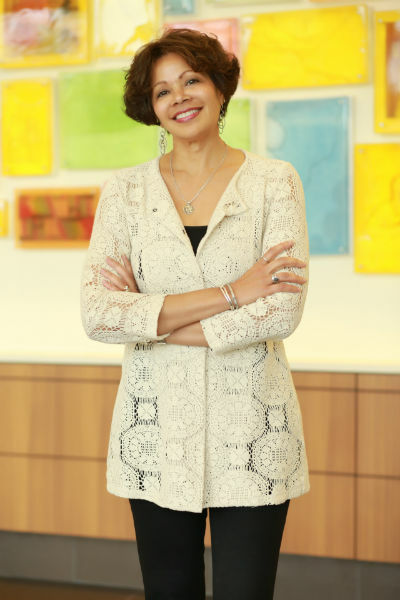 Prior to joining AED, she was president and chief executive officer of The McKenzie Group where she focused on research, assessment, accountability, and K-12 reform in urban school districts. She also has been a senior administrator and teacher in many school systems. Her experience spans multiple areas—academia, for-profit, nonprofit, federal government, and public sectors. She holds a Doctorate of Education in Psycholinguistics and Research, a Master of Education in Curriculum and Teaching, and a Master of Arts in Urban Education all from Columbia University, Teachers College. She also earned a Master of Science in Elementary Education from SUNY Cortland/Cornell University.